Are you looking for new sandals, comfy flats, heels, wedges, sneakers or need a shoe fix? Well, I’m Shoe in Love: Find Your Perfect Pair happening next week, on June 30 – July 1 is the perfect bazaar for you to find that perfect pair! Some famous brands like Cole Vintage, Trunk Show, Sperry Top Sider, Sketchers, Keds, Aldo, Charles & Keith, Adidas, The Ramp Crossings, TOMS, Gold Dot, Suelas, Tutum, Posh Pocket Shoes, DAS and MANY MANY more other great brands will be there! Not to mention, Sophie’s Mom will also be there!!! /haha forgive me for the shameless plug. Want a free ticket to this bazaar? I’m giving away 30 FREE TICKETS! Find out how to win by clicking read more! 1. Like One Day on Facebook. 3. Follow me AND The LiST Group on Twitter and tweet: “OMG! I want to win a FREE ticket to the #ImShoeInLove Bazaar at www.sophiemos.com! @TheLiSTGroup” No need to tag me! Make sure to set your twitter accounts on public so that I can verify the tweet. +5, post this as your Facebook status: “OMG! 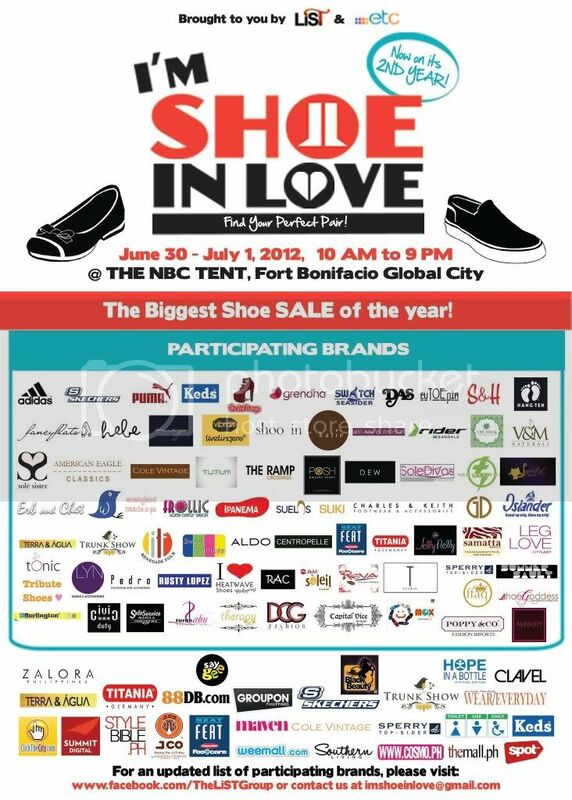 I want to win a FREE ticket to the #ImShoeInLove Bazaar! Check out @OneDay to win amazing prizes! www.sophiemos.com” Make sure you tag One Day. Also make sure your account is set on public, so that I can verify it.